In November 2005, Yahoo lowered the minimum deposit from $30 to $5. Early reports are coming from DigitalPoint Forums that Yahoo has now increased the $5 minimum from $5 to $35. Yes, flipping the minimum deposit back to that number pre-November 2005. You can see the minimum bid is now at $30. Is this a bug? I took a look at the sponsored search page and it still says $5. 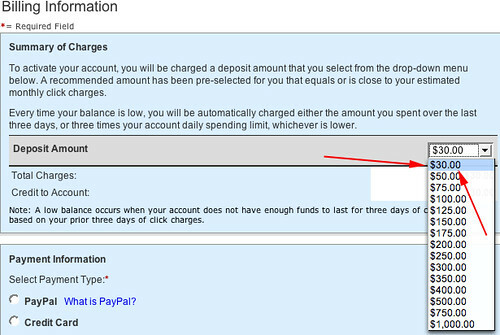 Each account requires a nonrefundable $5 initial deposit. Maybe it is a bug because I didn't see an announcement on this.